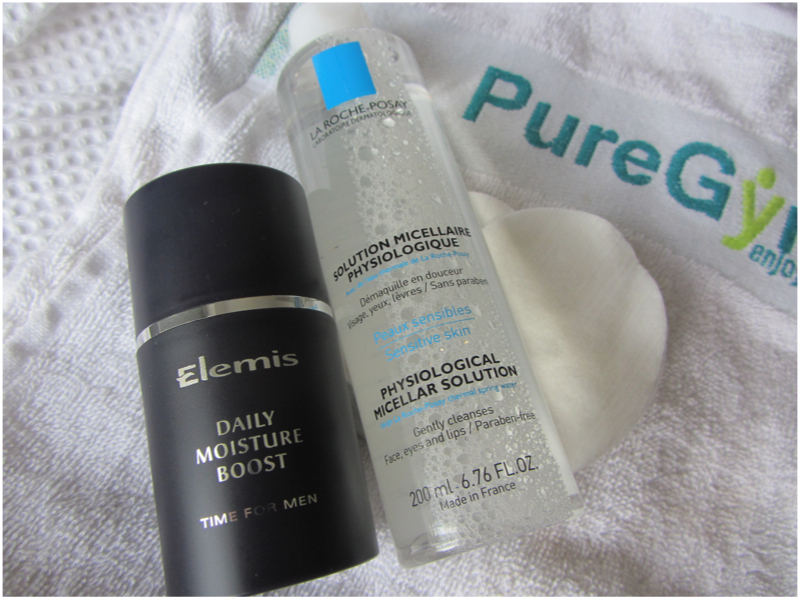 Today, Andy from Pampered Prince is giving a little post about exercise, skincare & acne. When Maria invited me to write a guest post for ‘Miss Drifted Snow White’ AND gave me free reign on the topic, the thought had crossed my mind to try my hand at writing an outfit post. Then I remembered that with my limited knowledge about men’s fashion, it’s surprising that I can even get myself dressed in the mornings. So, I decided it’s probably best to stick with what I know. Skincare! After thinking long and hard about what I wanted to rant talk to you about, the inspiration behind this post is because both Maria & I have recently joined the gym. Not the same gym of course, (although it is the same chain), but we have both taken it upon ourselves to make a positive change to our bodies. Although exercise can do AMAZING things for our skins overall health, it can, if not cared for properly, bring about some rather negative changes to our skin i.e. acne! Everyone knows that exercise makes you sweat, or at least it should if you’re doing it properly and not using the time to check out the hot guy on the bench press. So everyone knows that washing your skin after your workout is really important, but what about before your workout? You may be away, when our skin is warm, it’s more susceptible to product absorption. This is why during a facial, the therapist would steam your skin after cleaning but prior to applying a face mask and serum etc, to get the maximum absorption. We know that your skin sweats during exercise (if done properly), therefore your skin is warm. If you’re not cleansing the skin prior to your workout, all the makeup, dirt and grime from the day that is sitting on top is going to end up IN your pores, leading to blockages and ultimately, spots. Rocking-body and acne-riddled skin anyone? A quick superficial before your workout can prevent it. 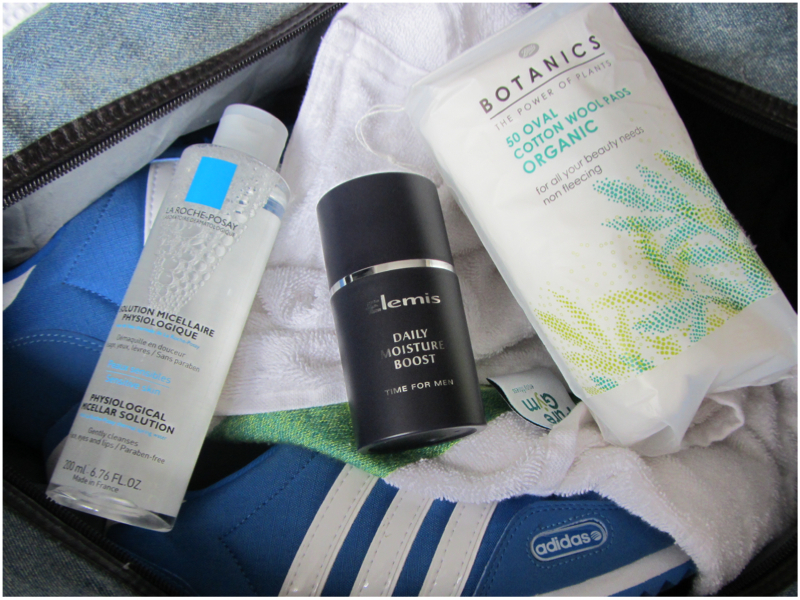 We’re not talking a full deep cleanse, the aim is not to replace your evening routine. A superficial cleanse, just to remove the surface dirt, makeup and sunscreens from the day is enough to keep the pores clear and free to sweat as much (or as little) as they like. You do still need to follow up with a light moisturiser to suit your skin type. During exercise our skin loses a lot of moisture. A light moisturiser will provide barrier function and prevent excessive water loss, thus preventing dehydrated skin, which can also lead to other skin issues. My pre-workout skincare routine consists of a micellar water (currently La-Roche Posay) , wiped across the skin until the cotton pads are clean. Usually two large pads are needed. Followed by a very light moisturising lotion (currently Elemis for Men Daily Moisture Boost). And that’s it! As for after your workout. Sweat does not cause acne. Sweat is merely a mix of water, salts, urea and acids, therefore nothing that can clog pores. A simple wash with water in the shower should be enough. Unless of course, you workout late at night. Then you can follow up with your evening skincare routine, including a full cleanse and all your serums etc. I know there will be some girls reading this who think I’m absolutely bonkers for even suggesting you remove your makeup before the gym. Don’t think I haven’t seen you with a freshly applied full face of makeup, just before walking through the doors! If it’s a confidence issue, if you genuinely can’t face being seen without your makeup, then I do empathise. Think about switching to a mineral makeup or something that can’t clog pores on gym days. However, if it’s purely for vanity reasons (and be honest), then is it really worth risking the health of your skin for something that is so easy to prevent? If you workout first thing in the AM, a simple splash of water and light moisturiser is enough. Follow with your usual morning skincare routine AFTER your workout. If you workout outside, then choose a moisturiser with SPF. Some screens can block pores, however the risk of sun damage out weights the risk of a few blocked pores. Just ensure you cleanse properly on the evening. Choose products and a time before your workout that works for you. I do my pre-workout skincare in my car, when I leave work, before driving to the gym, a micellar water and moisturising lotion works well for me. NOTE: I hate face wipes, but honestly, they’re probably better than nothing and this is one of the only scenarios where they are acceptable, if you find them easier. If you’re at home with access to running water and you’re still using wipes, then we need to have a talk! Lastly, NEVER touch your face during a workout. The machines in the gym are riddled with bacteria that would love to make a home in your pores. Also, never use the same towel to wipe the machine AND your face. Common sense I know, but surprising how many people I see doing this! A big thank you to Maria for allowing me to rant share my enthusiasm for skincare with all her readers. If you enjoyed this, then be sure to come say Hi over on my blog, pamperedprince.co.uk. post. Thank you a lot and I’m taking a look forward to touch you.